Something Clever's forthcoming EP, "Moments," will be released later this summer via Bunker Hill Records. 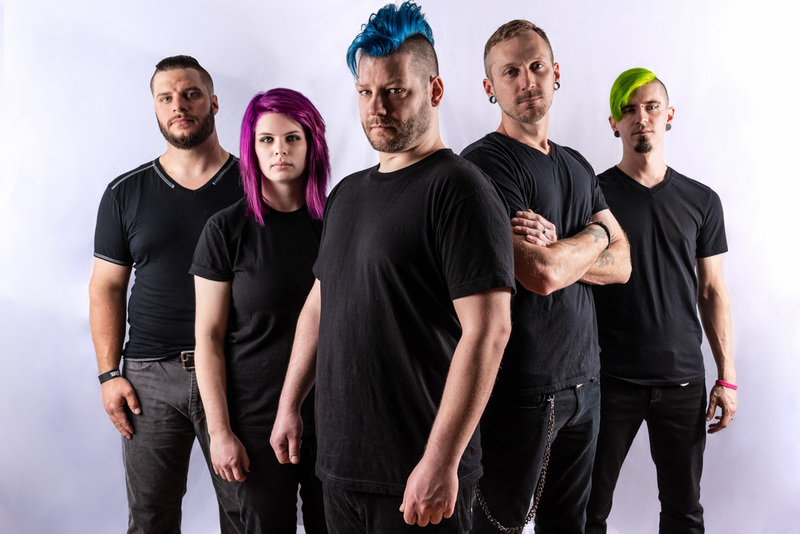 Hard rock quintet Something Clever from Charlotte, NC have released the music video for their highly-anticipated new single “The Hill” exclusively via Antihero Magazine. Directed by Justin Beasley, this is the first music video the band has released from their upcoming EP, “Moments,” due out later this summer. Following their first full-length album, “Season of Light,” which was released in March of last year, the band wanted to expand their musical horizons while honing in on that signature energy that keeps fans of Something Clever coming back for more. Something Clever’s forthcoming EP, “Moments,” will be released later this summer via Bunker Hill Records. What was the mentality when the band went into the studio to start working on new material? ADAM: we went into the studio knowing we wanted to change it up a bit. Working on different ways to express ourselves, experiment, and layering the music to bring a more multi-dimensional aspect to it. KELLY: We were all pretty eager to get back into the studio again. It hadn’t really been THAT long since we were recording Season of Light, but at the same time, it felt like it had been forever. I think we all wanted to try and do something to surpass the previous release…in the writing AND in the recording, and I think we achieved that. The Hill, in particular, we were all pretty excited about. JUSTIN: Unlike season of light, which took shape over about 3 years of writing, this effort was much more direct and had a precise goal: keep to our hard rock roots, yet stay approachable for a wider audience. Also trying to work more groove and lower tunings into the writing, opened up a lot of new possibilities. We really hope our fans enjoy it. BRETT: I think we had the mindset that this needed to be a banger. We were happy with Season Of Light but really wanted something a little more in tune with what other bands were doing at that time. Wanted a good hook with kind of a poppy feel that would get you moving. LO: I’ve only recently joined the Something Clever family, and unfortunately a large portion of the album was complete by the time I was able to contribute. However, with the songs I was featured on my mentality was the same as it is with any project; the song comes first. They wrote some really strong tracks and I had to figure out where I fit with them. That meant dissecting the song, writing my part, and recording with as much enthusiasm as they put into their work. ADAM: it still felt like we were in the honeymoon phase of the season of light release, even though a year had passed. we were coming off of writing that and wanted to hit the ground running on the new songs so it largely felt like our eyes were still adjusting to what was happening. KELLY: Musically I think we were at a place where we wanted to amp it up a little but stay true to the elements of what we’ve released in the past. I personally love it when bands change it up and don’t keep releasing the same albums again and again. I think that is coming naturally to us. Always growing and changing. BRETT: Musically I think we were ready to start recording. If I had to put a number to it I would say we were about 85% there when we hit the studio. We usually write well together and are very picky. We usually know what we want before we hit the studio. JUSTIN: We probably had around 3 or 4 completed songs before heading in. Naturally, a couple more were conceived before our sessions ended, some of that being bits and pieces from other songs that just seemed better suited in other areas. Going through a member change slowed things down initially but in the end, worked out really well for us. LO: At this point in time I had actually been dormant, for about a year. I wasn’t where I wanted to be and didn’t think I’d even be where I am now, so I was rather lost. This band inspired me in a way that I’ve been missing for quite some time. What direction did you want to go, building on the bands previous releases? ADAM: In our heads, we wanted something largely appealing yet still unique. We tried to pull from some new influences on the material. Fewer screams but still powerful. Nothing More, among others, were large influences on the direction we wanted to take the sound. JUSTIN: As mentioned earlier, we really wanted to keep to a certain flavor our listeners have come to expect from us over the years. But a little change is always good, and as you will hear in a couple songs, we did quite a bit of experimenting. For me personally, I’ve done a bit more to inject more groove and syncopation into my parts. And I love how heavy the record is. Yet not backing off of the “hooks” and melodic aspects of our music. BRETT: I think direction wise we were all on the same page. We wanted something different but hard hitting right out of the gate. We knew we wanted to do some things we hadn’t done before. We wanted to try new stuff and do some possible collaborations or guest spots with other artists swell. LO: Again, I wasn’t around for this discussion unfortunately but going through the previous albums and listening to the upcoming album, I feel the band is carving out their own identity. They’re building on the ideas that worked in the past and creatively raising the bar. It’s going to sound like Something Clever, but it’s going to come out of left field.